The beds were clean and comfortable. Nicely situated which was why we chose that apartment. The property itself was spacious and accommodated a large family with ease. The amenities were adequate, consisting of two bathrooms and a kitchenette. Plus an outdoor seating area within the apartment space. Central location with a car park next to the building. Friendly staff greeted us at the entrance. It's all about location for this property and it's very spacious. Nice bathroom. 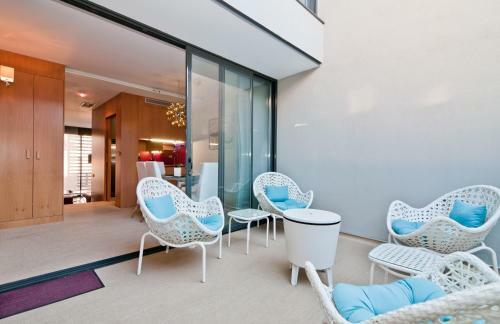 Place in the heart of the city, apartment is modern with great terrace. Would stay there next time! Very nice and spacious appartment, located right in the center of Madrid, for my personal taste a bit too busy, but if going out is your goal, just perfect. The appartment itself really great. 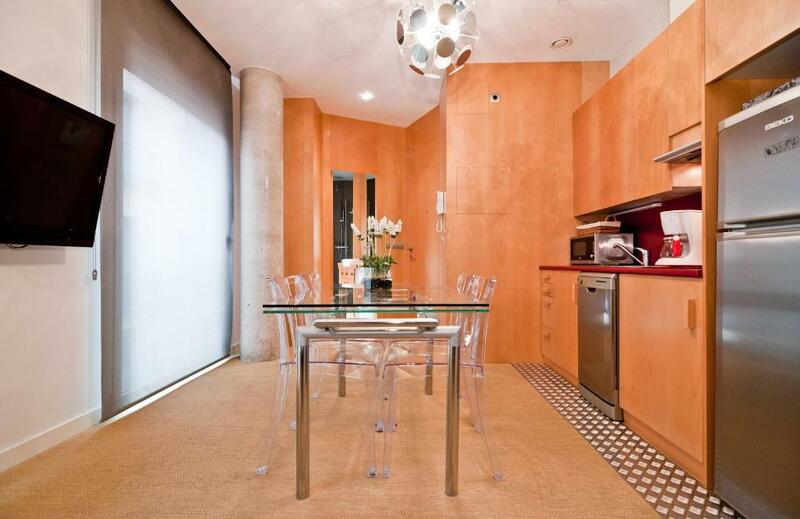 One of our top picks in Madrid.Madrid SmartRentals Chueca is in the trendy Tribunal area of Madrid, 400 yards from Tribunal Metro Station. 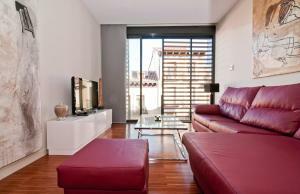 It offers stylish apartments with free Wi-Fi and a private balcony overlooking Fuencarral Street. 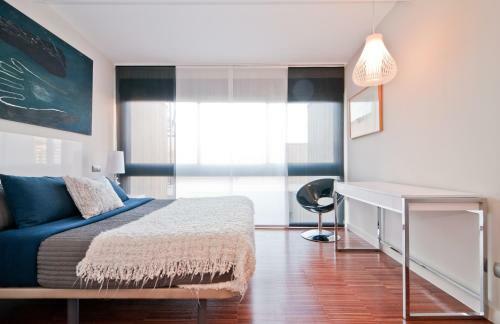 The bright, air-conditioned apartments at Madrid SmartRentals Chueca feature modern décor with wooden floors. There is a spacious lounge-diner with a sofa bed and flat-screen TV. The well-equipped kitchen includes a hob, microwave and coffee maker, as well as a washing machine. Bed linen and towels are provided. Staff at reception can help booking tickets for guided tours, live shows and other events. There are numerous tapas bars and restaurants in the streets around Madrid SmartRentals Chueca, and the lively Chueca district is just 5 minutes' walk away. The Thyssen and Prado Museums are 15 minutesâ walk away, as well as Retiro Park. 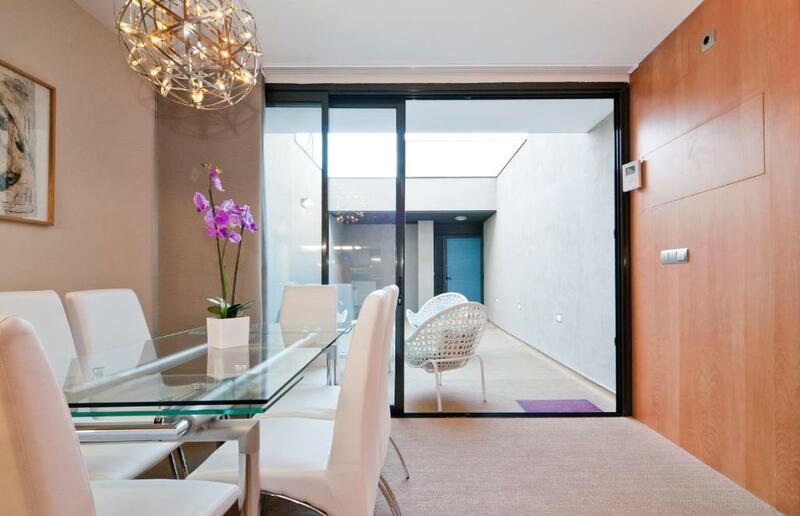 Puerta del Sol is 12 minutes' walk away. Fuencarral Street is home to a famous alternative market. The property offers an airport shuttle service for an extra cost. Centro is a great choice for travellers interested in tapas, parks and architecture. Madrid SmartRentals Chueca has been welcoming Booking.com guests since 16 May 2013. When would you like to stay at Madrid SmartRentals Chueca? Address: 1, Calle Santa Barbara. 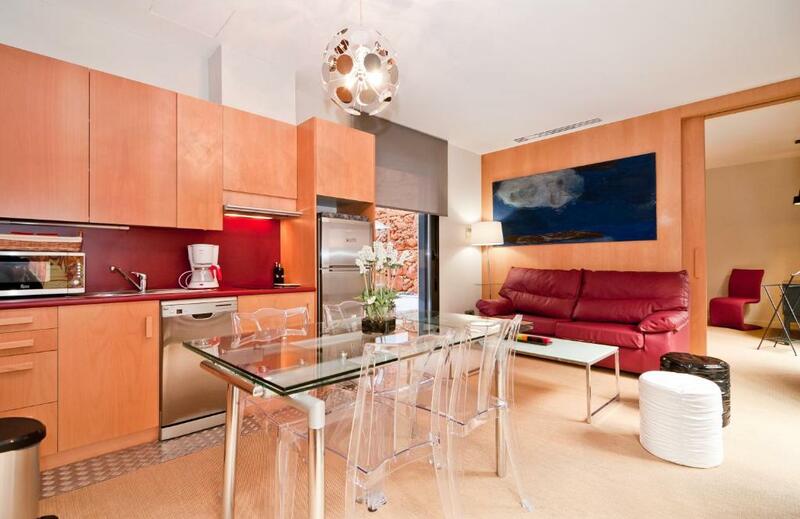 This bright, air-conditioned apartment features modern décor with wooden floors. There is a double bedroom and a spacious lounge-diner with a sofa bed, and a flat-screen TV. Free Wi-Fi is available in the apartment. 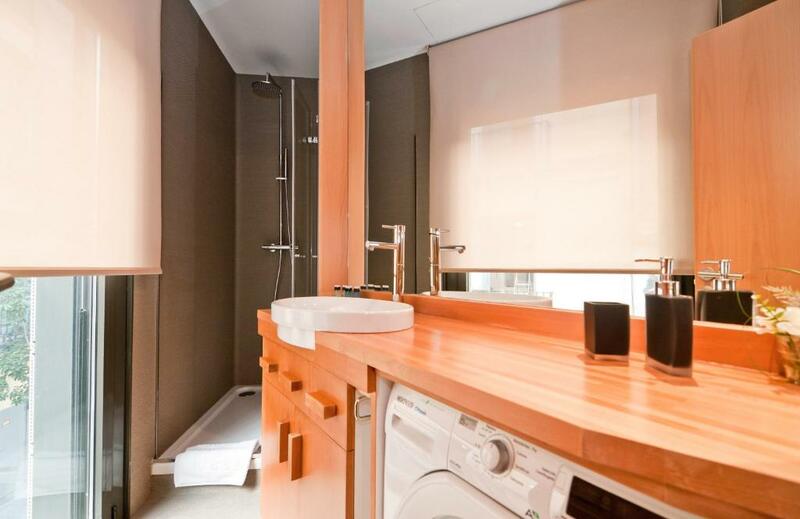 The well-equipped kitchen includes a hob, microwave and coffee maker, as well as a washing machine. Bed linen and towels are provided. This bright, air-conditioned apartment is set on the top floor and features modern décor with wooden floors. There is a double or twin bedroom, a twin bedroom and a spacious lounge-diner with a sofa bed, flat-screen TV and balcony with city views. Free Wi-Fi is available in the apartment. The well-equipped kitchen includes a hob, microwave and coffee maker, as well as a washing machine. There are also 2 bathrooms. 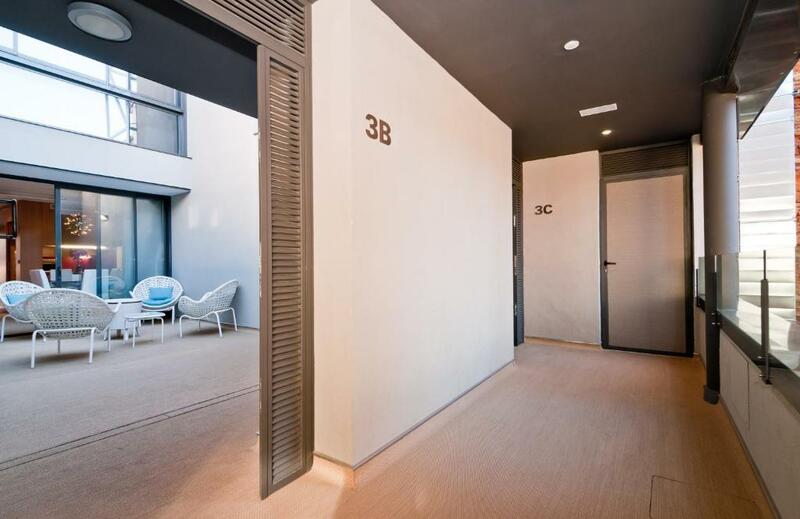 SmartRentals Madrid Fuencarral is located in the trendy area of ​​Court of Madrid, in 350 meters from the Tribunal metro station. It offers elegant apartments with free Wi - Fi and a private balcony overlooking on the street Fuencarral. Property surroundings – This neighbourhood is a great choice for travellers interested in tapas, parks and architecture – Check location Excellent location - show map Guests loved walking around the neighbourhood! House rules Madrid SmartRentals Chueca takes special requests - add in the next step! Madrid SmartRentals Chueca accepts these cards and reserves the right to temporarily hold an amount prior to arrival. The hotel reserves the right to pre-authorise the credit card before arrival. Please inform Madrid SmartRentals Chueca in advance of your expected arrival time. You can use the Special Requests box when booking, or contact the property directly with the contact details provided in your confirmation. A double duvet in a single duvet cover! The floor seemed dirty. 1 of the toilet seats was cracked and 1 of the showers wouldnt go warm. I think the entire place needs updating and its nothing like the photos in terms of the overall condition. Also had numerous issues like the hot water keeps cutting off after a couple of showers. Air conditioning was not warm enough for sub zero temperatures over night. The 2 beds in the 2nd room and the sofa bed downstairs are either broken or sagging - not comfortable at all! Certainly not a pleasant stay. Good location but noisy at night. To make it better - there is always a scope. So keep it up. Really needs a refresh. Blinds missing on windows, very poor water pressure, floors, furniture and kitchen very worn and old. No cushions on patio so couldnt sit out there. Washer only no dryer and no drying rack. It could prob do with a new carpet throughout but only a slight negative. Don’t use the taxi service offered by hotel as you can prob Uber this for cheaper - I had it arranged with a set price of €40 - guy tried to take us to wrong place Initially but I had the apartment on maps too and on paying - I had just lifted money - bank only gave €50 euros notes - driver says he has no change - only but I was stung at for the whole trip. The communal corridor needs updating. The biggest disappointment was that the bins were still full of rubbish from the last guests. So immediately this turned me off this property. It's very very noisy from the single bedroom and the living area all night long. The pull out sofa is not at all comfortable.